There are a lot of couponing sites available for the person who loves to save. With so many options available, Coupon Chief has managed to stand out above the crowd. 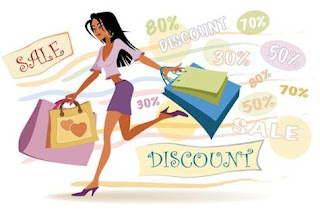 It is the premier destination to find coupon codes online. Savvy shoppers can find the best deals for products and services in the completely free searchable database. Need to know about great summer offers? Just search Coupon Chief for Orbitz or Travelocity and compare! Need an amazing deal for that Motorcycle? Coupon Chief has something for you as well.Or if you are a makeup queen, just search Sephora or Beauty.com and get great deals on amazing high end products. Best of all; find it all in one place and at your fingertips. The easy to use alerts allow you to choose your preferences and receive alerts for the products you would like. It is so easy to use: You search your coupon. Go to the site. Shop! And upon checkout just enter in the code for your savings. Or if you are more into brick and mortar, look into the printable coupons available. As a bonus, Coupon Chief’s pay-2-share program allows you to be compensated for sharing your coupons with other couponers. You get paid to save money essentially and to help others save. You share the coupon code with the site and you are paid 2% of the sales. Once your account reaches $25 you can be paid out. As a great bonus, not only can you share your coupons through social media; you can also make your saving count through charity. Coupons-4-Causes will donate a percentage of your purchases to your favorite charity! Whether you want to eat out, dine in, or just make it a “Treat Me” day, Coupon Chief can connect you with great deals. Instead of searching website by website and dealing with annoying pop ups from other sites, just make Coupon Chief your one stop shopping place.